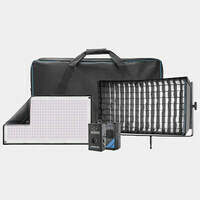 The ARRI T1 Fresnel 1000W 3-Light Kit gives you a powerful, versatile location lighting kit in a compact package. 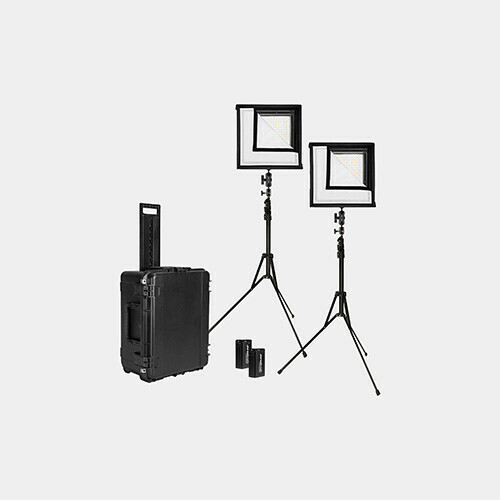 Three 1000W T1 Fresnel fixtures (with lamps), three sturdy 8.5' (2.6 m) stands, three full single and three full double scrims and a heavy duty rolling case will have you out the door and on your way to your next location. Supplied for use with 120VAC. Meets IP23 standard -- suitable for indoor use or outdoor use providing a degree of protection against falling rain (up to a 60° angle from vertical). Unfortunately this item is unavailable for shipping due to size and weight.